Thinking of joining 4-H? Have a few questions about the program? 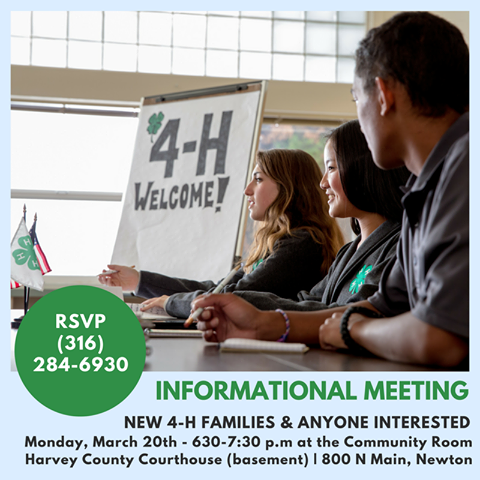 Interested families are invited to attend the 4-H Family Orientation Meeting to meet 4-H leaders and get questions answered. The meeting will be held Sunday, November 5th from 6:30-7:30 PM at the 4-H Building in Athletic Park, 800 W. 1st St. in Newton. 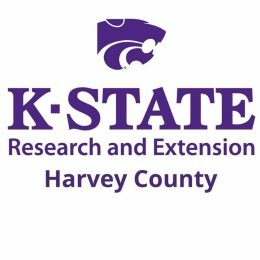 Local 4-H Club leaders and K-State Research and Extension Staff will be discussing general 4-H information, 4-H Clubs, 4-H Projects, 4-H Camping, and the Harvey County Fair. 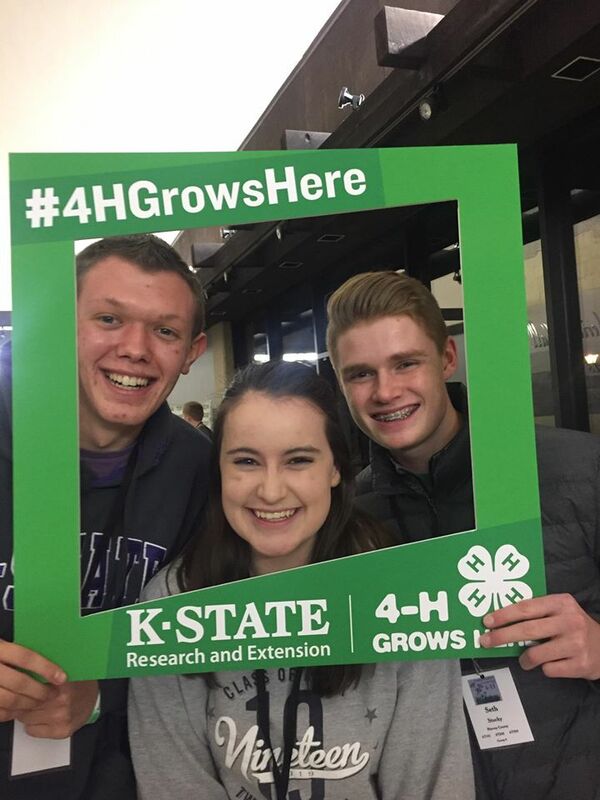 Families will receive a 4-H Family Handbook, information about enrollment and upcoming events, and new 4-H members will receive a free 4-H t-shirt! It doesn’t matter where you live, what your kids want to be when they grow up, or your level of experience. 4-H is a club of kids and their families who take part in fun, practical projects from woodworking to rocketry, and everything in between. 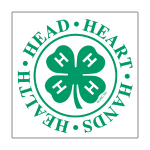 4-H is for youth ages 5 to 18 as of January 1st and is $10 a year per member, with the exception of Cloverbud members ages 5 and 6 for whom there is no fees. 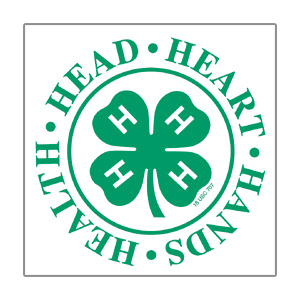 Thanks to a Harvey County sponsor, all first year 4-H members are reimbursed their program fee, making it free to join. Our promise to you is that with your continued involvement, 4-H will empower kids with skills to lead for a lifetime. 4-H stands apart from all other programs by fostering true leadership through its emphasis on critical building blocks: Respect, confidence, responsibility, and compassion. RSVP to Hannah Reynolds at hannaha@ksu.edu or 316-284-6930 to attend the meeting.